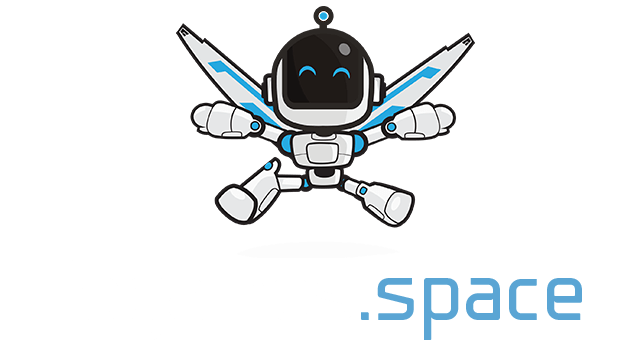 Dungeonz.io | Play Dungeonz.io free on iogames.space! Enter a huge open world of monsters and adventure in this retro style MMORPG. Train your stats and craft better gear to survive out in the wilderness. Fight your way through mummies in pyramid crypts, and menacing vampires in their dark castle, to delve into perilous dungeons in search of riches and glory. Bring your friends along with you to clear dungeons as a party. Your progress can be saved by using the continue code of your character (top right icon) to continue as that character later! Drop item: Shift + 1 to 0 number keys, or drag and drop. You start with a number of respawn points. Every time you die, you lose a respawn. If you die with no respawns remaining, it is game over for you! Gain extra respawns by finding respawn orbs. Explore the land to gather materials to craft weapons, armour, tools and potions. There are several crafting stations that can be used for different items. Simply walk into the crafting station to open the crafting panel. Any items in your inventory that can be used to craft another item at this station will show a blue up arrow button. With a higher crafting stat (weaponry, armoury, toolery & potionry), the items you craft will last longer! Items can be bought from NPC merchants in the main city, and around the world, for glory. Gain glory by doing most actions in the game, such as defeating enemies, completing tasks, gathering resources and beating dungeons. Stand next to a merchant and click on them to open the shop panel. The items that can be bought from merchants will always be of basic durability. Items crafted by other players will always be better than those bought from a shop, so make your own, or trade with other players! Tasks are a set of small objectives to work towards during your adventures which give various rewards when complete. Open the tasks panel in the top left to see your current tasks. When a task is claimed, new tasks are added. Come say hi and say what you think of the game. 12/04/2019 - Hotfix: - Fixed server crash when suiciding from eating greencaps. - Fixed bug where if you die, the respawn panel would close if you tried to move while dead. 13/04/2019 - Update 1 - New dungeon: Knight training arena - Dungeon bosses now appear slightly larger than normal creatures. - Disabled darkness for now until I can update the client engine, due to major FPS decrease during night for some users. - Respawn orb can now be dropped/picked up. - Updated credits page. - The "Could not connect to server" warning is now clearer to see. - Added a debug mode that can be activated by entering localStorage.setItem('debug_mode', true); into the browser console. - Fixed claim invalid task server crash. 18/04/2019 - Update 3 New: - Added a status effects system, which are conditions that do something over a period of time - Burning: Medium damage over a short time. Caused by walking through lava, or hit by fire. - Poisoned: Low damage over a slightly longer time. Caused by walking through sewage. - Cured: Makes you immune to poison for a while. - Health regeneration: Heals slowly over time. Caused by walking through a blood pool, or using a health potion. - Health potions no longer give instant HP. A "blood pool" is the light red stuff found in the Blood halls dungeon on the vampire island. - Energy regeneration: Restores energy over time. Caused by using an energy potion. - Cure potion. Removes poison effect and makes you immune to it for a while. - Wind gem: Used to craft items with a wind effect. - Super wind staff: Shoots wind that shoots more wind. - Blood gem: Used to craft items with a lifesteal effect. - Blood staff: Shoots a projectile that steals health when it hits. Costs health to use. - Super blood staff: Shoots a lifesteal bolt that shoots more lifesteal bolts. - Added floor spike traps to certain dungeons. - Added a tool merchant to the west desert town. 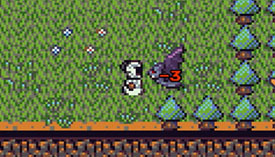 - Some creatures can now drop multiple items. Most basic/weak creatures still only drop 1 item, but some now drop 2 or more. Bugs: - Fixed vampires (Vampire, Blood priest, Blood lord) not counting towards "Kill vampires" task completion. - Fixed armour being damaged when attacked by another player in the safe zone. - Fixed a pickup not appearing on the ground when an iron rod is dropped. - Merchants can no longer be killed. - Removed the "Kill snoovirs" task as they cannot be found yet. - Removed the clay ore rocks as it cannot be mined yet. - Fixed dungium pickaxe and noctis pickaxe not giving gathering exp when used. - The bank in the west desert town and in the vampire island town are now safe zones. Caution: Players can not damage you there, but creatures still can! Balance: - Dungium hatchet and pickaxe now have a base durability of 300 (was 100, like iron). - Noctis hatchet and pickaxe now have a base durability of 200 (was 100, like iron) (Dungium is meant to have higher durability, but has less offensive bonuses than noctis). - Increased the base durability of all arrow types to 25 (was 20). - Added lava to the vampire island cave. - More varied drops from more creatures now, especially better drops for bosses. - Removed fire gem and super fire staff from the magic shop. - Increased the price of potions from innkeepers to 150 (was 100).